The fifth-graders in a Prince George’s County elementary school who were offered free college tuition in 1988 have followed varied paths: One became a cop; another a drug dealer. One killed herself; another killed his father. The group also includes a doctor, cellist, politician and UPS driver. Darone Robinson and Rudolph Norris were driving home after playing basketball one afternoon, reminiscing about their school years together, about that kid who made them laugh, the kid with the colorful shirts and infectious cackle. What happened to William Smith, the prankster standing at the center of their class picture? 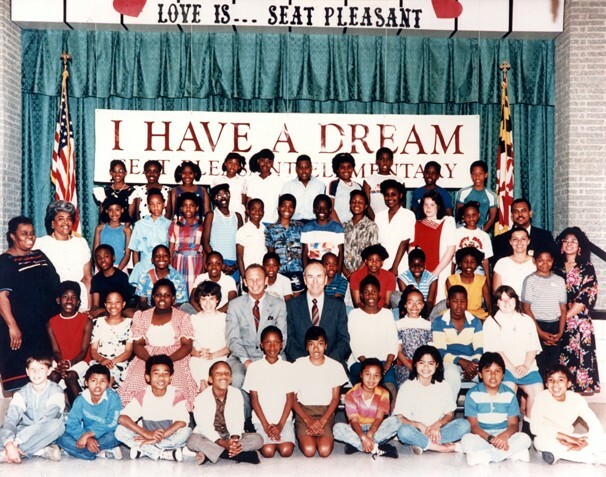 Back in the spring of 1988, they’d all been friends at Seat Pleasant Elementary, part of a class of fifth-graders from some of Prince George’s County’s poorest neighborhoods. Then, on a May afternoon, they received an unexpected gift that would alter their lives: the promise of a college education, paid for by two wealthy businessmen. Suddenly, the 11-year-olds were part of an ambitious social experiment being tried across the country, one that brought together rich benefactors and needy kids in a largely untested but intimate style of philanthropy aimed at lifting entire families out of poverty. At Seat Pleasant, the promise generated a wave of publicity and excitement, transforming the fifth-graders into symbols of hope in their own neighborhoods and well beyond. The scholarships gave them a chance to achieve a kind of success that had eluded most of their parents. Yet their good fortune also became a burden that would endure long after they reached adulthood. The questions followed them: What would become of William Smith, Darone Robinson and the rest of the Seat Pleasant 59? Would they graduate from high school? Would they make it to college? What would they make of their gift? More than 20 years later, the answers are sometimes surprising, sometimes satisfying and sometimes heart-rending. One would become a doctor. One would become a cellist. One would become a UPS driver. One would kill herself. One would kill his father. One would become a politician. One would become a cop. One would become a drug dealer. On that afternoon in 2010 when they shot hoops, Darone Robinson and Rudolph Norris were long past their school days. Long past the time when they were skinny, restless fifth-graders who counted the minutes to recess and hurled themselves around the Seat Pleasant playground with ferocious glee. They were grown men now, 33-year-old fathers with all kinds of responsibilities. Darone was working as a Pepco customer service rep, Rudolph as an electrician. Yet they loved sifting through their memories: the girls they admired, the teachers who scared them, the fights they won and lost. William Smith had been there through all of it. Darone hadn’t seen him in years, but Rudolph had. He knew how to find William, who came to be defined not by his big smile and exuberant laugh, but by a devastating burst of violence. A few weeks later, Rudolph and Darone drove downtown, to a housing project on a hill near Howard University. They knocked on a glass sliding door overlooking a vacant lot. Moments later, William Smith swept aside a dark blanket that covered the glass and unlocked the door, reaching up from his wheelchair to hug his two old classmates. Wright had not revealed the purpose of the gathering, not even to most of the staff. Sliding into metal folding chairs, Rudolph and Jeffery Norris, cousins and classmates, gaped at the cluster of TV news cameras and photographers. Jeffery’s only previous experience with reporters had occurred when they were 8, after they had seen a man grab a bat and beat Rudolph’s stepfather to death on a baseball field. Now, as they waited for the assembly to start, Jeffery wondered whether the presence of the cameras meant he was about to hear something awful. Tiffany Alston didn’t know what to expect. At 11, she’d already decided what she wanted to do with her life. She would become a lawyer, something she had told her teacher only a week earlier. “That’s going to cost a lot of money,” the teacher replied, an answer that Tiffany replayed that night to her mother. Shirley Alston was a single parent who worked several part-time jobs to raise two children. No one was going to tell her what was possible for her daughter. She would decide that. And she had decided that Tiffany would go farther than anyone else in their family. She would get a degree. “You will go to college even if I have to scrub floors on my hands and knees,” Tiffany remembers her mother declaring. Darone Robinson’s mother arrived at the school that afternoon irritated because she’d had plans to spend her day off eating lunch with a friend. But then someone from the school had called and summoned her to a meeting, refusing to disclose the purpose. Always showing off and getting himself in trouble, Rose Johnson said of her youngest child. What had Darone done this time? Like Rose Johnson and Shirley Alston, many of the Seat Pleasant parents were raising children alone. They worked as secretaries and grocery clerks, as janitors and security guards, earning so little money that their kids qualified for free or reduced-price lunches. The overwhelming majority of the fifth-graders — nearly 80 percent — were African American. The rest were white, Asian or Hispanic. There were kids who had migrated from distant places. One boy came from Cambodia after his parents were pushed into a refugee camp by the Khmer Rouge. Another had escaped the civil war tearing up Nicaragua. Another came from Nigeria, only to have her father killed in a car crash on New Hampshire Avenue. At 1:30 p.m., the chairman of the Prince George’s school board introduced Abe Pollin, then 64, who wore a “Hello My Name Is . . .” name tag on his pin-striped lapel even though all the adults in the room knew he was the owner of the Washington Bullets and the Washington Capitals. Standing next to Pollin was Melvin Cohen, also 64, who owned District Photo, a successful film processing company. Before a bouquet of microphones, Pollin explained that he and Cohen had established a $325,000 fund intended to help the children get the kind of education required for success. Some of the parents were unsure that they had heard him right. Did he just say he was paying for college? What is tuition? Jeffery Norris asked himself. What exactly is college? The principal asked Pollin to repeat his offer. Tiffany Alston’s mother wiped her wet cheeks and nose with tissues, making her daughter cringe. Stop, Mom, Tiffany thought. Please stop embarrassing me. For months after the announcement, Pollin and Cohen would try to avoid giving the impression that they were handing out free college educations. In fact, they were agreeing to grant the equivalent of in-state tuition at the University of Maryland. But in the frenzy of the moment, many of the parents felt as if they had just won the lottery. After Pollin and Cohen sat down, the principal stood and wiped her own tears away. “You have invested wisely in the lives of these children,” she told the businessmen. She asked the students how many of them planned to attend college. Every single hand shot up. Then Monica McIntyre, a fifth-grader who excelled at the cello, rose to thank the men on behalf of her classmates. Pollin bent over and hugged her with both arms, planting a wet kiss high on her right cheek. From his seat, her father, Paris McIntyre, a teletype operator at the Goddard Space Flight Center, could not believe what he was seeing. Years before, his wife, Lorna, had worked as a cook for Abe and Irene Pollin, and now Abe, without even realizing the connection, was up there, in front of all those people, hugging his daughter. The TV crews crowded around. Darone Robinson, a short boy with bright eyes, was asked whether he understood his good fortune. He shrugged. Darone’s only experience with college was when his adored older cousin, a basketball star at George Mason University, had taken him to visit the campus. The university’s emerald green lawns and palatial buildings were so different from Capitol Heights, where he and his mom and sister lived in his aunt’s modest brick house to save money. Rose Johnson wanted Darone to go to college, too, but she had no idea how she’d pay his tuition on her $13,000-a-year receptionist’s salary. Now, after listening to Pollin and Cohen, she no longer had to worry, and the joyous relief brought tears that she brushed aside with her thumb as she followed her boy through the crowd. The cameras and commotion made some of the kids shy. William Smith, the gangly and square-shouldered class funnyman, reveled in the attention and was among those clapping the hardest at the announcement. “I wanted to scream,” he told a reporter. His mother, Theresa Smith, was equally elated. Her education had been interrupted just after she’d given birth to William at 17. A few months later, her own mother was murdered, forcing her to care for her three younger brothers and her new baby. 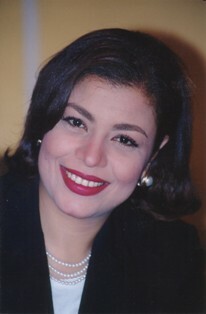 Theresa Smith worked as a secretary at the Defense Department to support her family. At 28, she maintained a tight grip at home, barring her son from wandering the neighborhood after school or playing outside. William referred to his home life as lockdown, but Theresa Smith believed that it was the only way to ensure William’s survival. With college within reach for her son, Theresa said she felt like the beneficiary of divine intervention. As he watched the families rejoicing and lining up to shake hands with Pollin and Cohen, Tracy Proctor felt a great sense of optimism and excitement. “Every last one of them will go to college,” he promised himself. Proctor’s job was to make that happen. The idea of adopting a class of impoverished children had originated seven years earlier in New York, when Eugene Lang, a multimillionaire industrialist, promised 61 sixth-graders at PS 21 in East Harlem that he would send them to college if they stayed in school. By 1988, the concept behind Lang’s “I Have a Dream” Foundation had been replicated in 15 cities, serving 4,000 Dreamers, as the students were called. Pollin and Cohen, who were well known in Washington for their philanthropic largesse, decided to adopt a class in Prince George’s because it was the home of Pollin’s Capital Centre and Cohen’s company. They left the choice of the elementary school to the county’s school superintendent, who recommended Seat Pleasant because it was in a community in dire need of help. Although they planned to be as deeply involved as possible, the businessmen needed someone to keep the kids on track, someone to be their eyes and ears in the lives of the students at school and at home. They needed someone who understood the kids’ experiences and spoke their language, someone the kids would respect. Proctor was just 24 and had no experience working with children when Pollin and Cohen interviewed him for the job. He told them about how he’d grown up as one of eight siblings raised by a single mother in a series of housing complexes in Southeast Washington. By the time he was 12, Proctor had attended six elementary schools. He made it to Howard University on a baseball scholarship and graduated in 1987, an achievement that convinced Pollin and Cohen that they had found the right mentor for their Dreamers. A month after Proctor was offered the job, he stood with Pollin and Cohen as they introduced him to the students. In the audience, Tiffany Alston and some of the girls and mothers giggled. Proctor was cute, they told each other, with his tall, athletic frame, mustache and deep voice. Jeffery Norris was less enthusiastic. “Someone else to call my mom and complain about me,” he told himself. On television that night, the fifth-graders and their parents were featured on the local news. The next day, a photograph of Pollin hugging Monica McIntyre appeared on the front page of The Washington Post. Her father, Paris, was quoted in the New York Times. In their neighborhoods, the Dreamers became celebrities and almost immediately grew accustomed to star treatment. Special buses took them to school. They got tickets to Bullets games and concerts, and free film from Cohen’s District Photo business. On some days, small groups were escorted to lunch with Cohen and Pollin at their offices, and there were special dinners. At the Capital Centre, the kids gawked at Pollin’s beige Mercedes-Benz in his reserved parking spot and walked down hallways lined with photographs of Wes Unseld, Elvin Hayes and other stars. There were thick turkey sandwiches and potato chips delivered in white boxes at the lunches, and filet mignon was served at the dinners. Before the gatherings, Proctor provided Pollin with a photograph of each guest and a one-sentence description so Pollin could greet them by their first names — “Hi, Tiffany” or “Hi, Darone” or “Hi, Jeffery” — and ask about school and their ambitions. Jeffery Norris was amazed that a virtual stranger — a white man, no less — would show interest in their lives and embrace them. Tiffany Alston enjoyed listening to Pollin tell stories about his life, how his parents immigrated to the United States from Russia, how they built a construction company and then he bought a basketball team. “You can do it,” he told them. The kids loved inspecting the big gold ring Pollin wore on his right finger, the one he got when the Bullets won the NBA championship in 1978. Pollin, who died in 2009, seemed to pay extra attention to the tallest kid in the class, Terrell Jackson, who already stood at 6 feet by sixth grade. Terrell told Pollin that he wanted to play for the Bullets when he grew up and earn enough money to take care of his Dreamer buddies. Pollin’s response, one that remained with Terrell into adulthood, was that he should stay in school and go to college, and then he could get a tryout with the team. First, though, he and his classmates had to survive sixth grade. At William Smith’s house, his mother was terrified that her son failed to understand what was at stake. William was not exactly a conscientious student. With so many restrictions imposed on him at home, the last thing he wanted to do at school was sit in class and pay attention. He dreaded homework. When he didn’t know the answer to something, he says, his mother would smack him on the side of his head. Jeffery Norris’s mother also wanted her son to be the first in the family to go to college. But she remained concerned about Jeffery’s emotional well-being. For months after he saw his uncle murdered, Jeffery had been unable to sleep in his own bed, awaking to nightmares of the baseball bat crushing his uncle’s skull. Sometimes, when his mother would go to the bathroom, he would wait outside the door. She sent him to a psychiatrist, who advised her to talk about the incident only if Jeffery brought it up. When he did, he often asked, “Why didn’t Uncle Terry fight back?” School became the place where Jeffery fought back. The promise of a college scholarship did nothing to change that. At Darone Robinson’s house, his mother told stories about his three uncles going to college. She had the same expectations for Darone, and she did not hide her fury when he acted up or didn’t do his homework. The pushing and prodding didn’t have much impact. The Seat Pleasant 59 were an unruly bunch. Their teacher, John Scott Lucas, a onetime amateur hockey player, established a classroom “penalty box” to punish those who were disorderly. Once, Lucas became so frustrated that he slammed locker doors and retreated to the restroom to escape the racket. Several Dreamers recall him bursting into tears. “My dogs are better trained than you people,” one student remembers Lucas shouting. The Dreamers were so out of control that Tracy Proctor felt compelled to sit in Lucas’s class to ensure calm. Once, after Proctor had ordered Terrell Jackson to settle down, the boy confronted him in the stairwell outside the classroom and threatened to beat him up. Proctor grabbed him by the shirt and with one hand lifted him up against the wall. All year, Proctor had gone to the children’s homes, one by one, to meet their parents and see where they lived. He had seen the filthy walls and trash in one boy’s house. He knew that, at the age of 11, another boy could not write a sentence. He knew that Rudolph Norris’s stepfather had been murdered, and that Rudolph and Jeffery had witnessed it. He knew that William Smith’s mother was a stickler for propriety, correcting her son if he said, “Uh-huh” when answering a question. “That’s ‘Yes, ma’am,’ ” she’d say. He knew that some of the parents had grown suspicious of Pollin and Cohen. Others didn’t understand that the scholarship offer was not a blank check. Pollin and Cohen were agreeing to meet the cost of in-state tuition at the University of Maryland, but the money needed for books or room and board would have to come from grants or other sources. The students were asked to declare their career ambition, favorite subject and motto. “Reach for the stars,” wrote one. “Never say, ‘I can’t,’ ” wrote another. “Keep on dreaming until you reach that special place,” wrote Tiffany. Coming tomorrow: In day two of The Seat Pleasant 59, a giddy sense of promise is replaced by a sobering reality.